Anglesey Churches and Chapels in North Wales. Penmon Priory, St Seiriol's Church and the Dovecote. There are over 100 Churches on Anglesey in North Wales, if one counts the reduntant Churches. Historically, a Church may have been made 'redundant' for one of several reasons, for example the centre of the community moved (Telford's new road across Anglesey resulted in this in some communities), or because they were such in need of repair that it was deigned neccessary, or made more sense to build a new one. 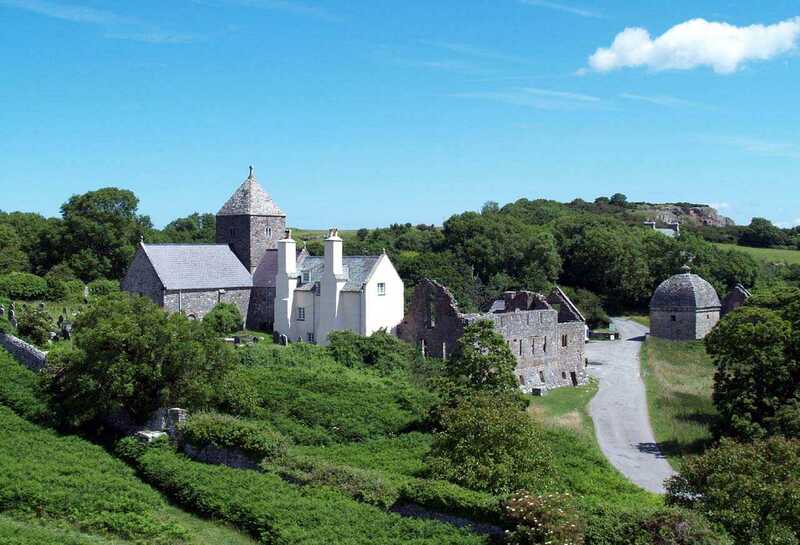 Anglesey's Churches - and Chapels - share a long and sometimes bloody history, being looted by Vikings or the Irish was commonplace in the Dark Ages. The origin of some of Anglesey's Churches goes back to the fifth century, although the existing building at the earliest might date back to the 12th century. Not only have I taken photos of the churches themselves, I have - where possible - taken photos of the insides of our churches. In addition there are images of the interesting graves and tombstones, some uniquely Welsh in their materials and design, and all displayed in high resolution. Our Churches are sometimes beautiful, not because of their architectural grandeur, but because of their simplicity. I have photographed every Church, and many of the Chapels, and whilst it will take me some time to launch them all on this website, I will do it in time.